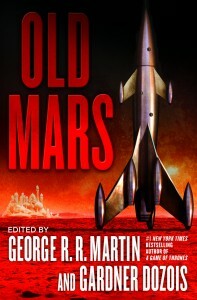 It's only a week till the release of OLD MARS, the latest anthology from Gardner Dozois and Yours Truly, featuring fifteen brand new, original, never before published tales of the Red Planet of bygone years, the one with the canals and the dead sea bottoms and the lost cities and myriad marvelous Martians. Pat is also giving away three copies of the hardcovers. To see how you can snag one, check out that link above. or grab one next Tuesday from your favorite local bookseller. And just finished reading Fevre Dream! This could be my next acquisition! Jeffers is like Siryo Forell of the 1880 Mississippi? haha!